Qualifying utility customers receive waivers and discounts on their utility bills. The City of Austin has one of the most generous Customer Assistance Programs in the nation. Utility bill discounts are a key component of the program. They are provided to customers already receiving benefits through a variety of federal, state, county or city assistance programs. In February 2014, the Austin City Council voted to expand the discount program to 45,000 customers a year. Additionally, in 2015 the Austin City Council voted to no longer have a waitlist as well as include Veterans Affairs Supportive Housing (VASH) vouchers as a qualifier. Under the program, qualifying Austin Energy customers receive a waiver of the $10 monthly electric customer charge; are exempt from paying the portion of the community benefit charge that supports the Utility Bill Discount Program; and they receive a 10% discount on their kWh usage charge. Austin Water customers also receive a discount on the water/wastewater customer charge as well as a volumetric discount on a customer’s water usage. Watershed Protection provides a 50% discount on the drainage fee. Public Works under a separate qualification waives the transportation user fee. Customers who qualify for utility bill discounts are receiving an average of $792 per year per family, $248 of which comes from Austin Energy. Total utility bill savings for the recipients is over $18 million annually. Below is a summary of electric account savings only. As part of AE’s Strategic Plan, Austin Energy selects high profile locations such as City buildings, libraries, and schools for solar projects as a way to increase public awareness and educate citizens about the advantages of solar power. A total of 58 City of Austin facilities have solar installations totaling more than 1,500 megawatts. While the majority of installations are relatively small in size, AE recently completed a 403-kW system at Austin Energy's new System Control Center which is the main control center for managing the Austin Energy electric system.  The City of Austin provides hearings for customers who would like the opportunity to dispute charges or are in need of any other type of account reconciliation. The hearings are conducted by an impartial Hearing Officer retained by the City of Austin.